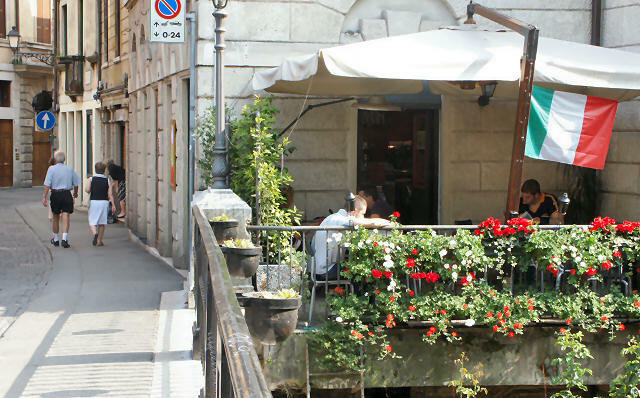 Like most towns and cities in Italy, Vicenza is full of outdoor cafes. The "bridgehouse" here has a nice view of nearby Ponte San Michele. Italians have long understood the importance of taking their time and relaxing, and outdoor cafes just seem to fit right in to the culture.